How to motivate users to learn some pieces of knowledge which cannot be tested into a Serious Game? Some pieces of knowledge or competencies cannot be tested into a Serious Games because they are too hard to integrate for technical or playable reasons. However you would like to motivate users to learn them. Retrieve levels of competencies from a Learning Management System and make them useful for users to progress into the game. A Learning Management System (LMS) can include learners’ profiles with their levels of competencies. Thus prevent users from accessing some parts of the game if they do not have reached some levels of competencies stored in the LMS. The desire to discover the world and to progress into the story could sustain their motivation to improve these external competencies. 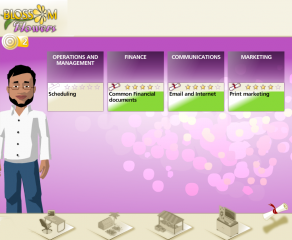 For example in Blossom-Flowers, the users learn entrepreneurship by managing a company cultivating flowers. 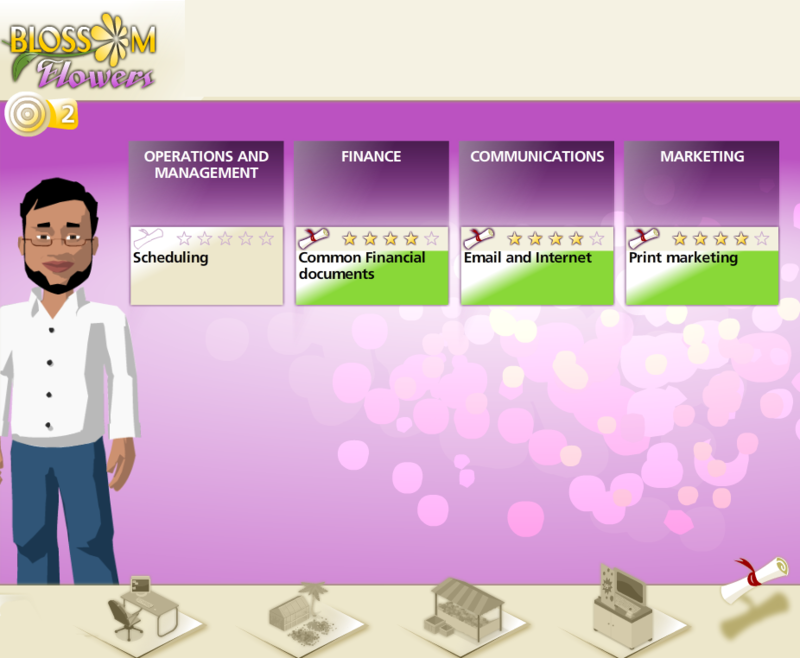 But some possibilities in the game are forbidden if the user has not validated the associated competencies in a LMS : for instance, a user can buy a computer to facilitate the farm management in the game just if she has validated computer competencies into the LMS (see picture).